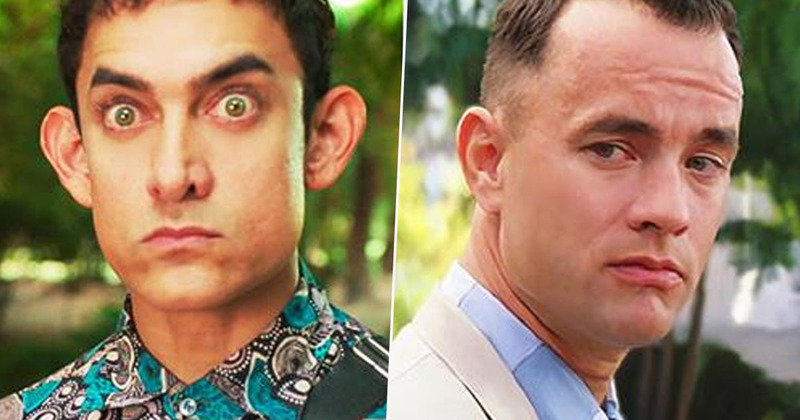 A Bollywood remake of the 1994, Oscar-winning film Forrest Gump is set to be released next year. It will star Indian actor Aamir Khan in the lead role, to be directed by Advait Chandan, and will be titled Lal Singh Chadha. The original starred Tom Hanks as the titular character, who manages to be present at some of America’s most significant events in history, from the Vietnam War to the Watergate scandal, while he also inadvertently meets Elvis, John Lennon and a number of US presidents along the way. The Bollywood take on the classic film was unveiled last week, March 14, on Khan’s 54th birthday, according to the Hollywood Reporter. We have bought the rights from Paramount. I have always loved Forrest Gump as a script. It is a wonderful story about this character. It is a feel-good film. It is a film for the whole family. The remake will be produced by Khan’s company, Aamir Khan Films, along with Viacom’s Indian film studio, Viacom18 Motion Pictures. Shooting is set to begin in October this year. The writer of this film is (actor) Atul Kulkarni, and it’s a strange story. When we were doing Rang De Basanti (2006) together, he asked me one day what my favourite film was. And I said Forrest Gump. Exactly two weeks later, he told me he had a script for me. He had never written anything before, so I was surprised and asked him what it was about. He didn’t tell me anything but asked me to take out time to listen to it. A month went by and then another, because I was busy. Finally, just to get me to listen to it, he revealed to me that he had adapted Forrest Gump. The actor also revealed the film was in development for eight years, as it took time to acquire the rights to the Hollywood version. The 1994 film, which was based on the 1986 novel by Winston Groom, was directed by Robert Zemeckis. It became a huge success at the time, winning six Oscars, including best picture, best director, and best actor for Tom Hanks. Bollywood remakes of Hollywood films are becoming more and more popular. 2017, for example, saw the release of a Bollywood version of Jon Favreau’s 2014 Chef, while in 2014 there was a Bollywood film released called Bang! Bang!, which was an adaptation of the 2010 Tom Cruise and Cameron Diaz blockbuster Knight and Day. This year will also see the release of a remake of 2014’s The Fault in Our Stars, as well as a version of the 2013 film Begin Again, which starred Keira Knightley and Mark Ruffalo.